A popular shade plant that just doesn't know when to quit blooming! 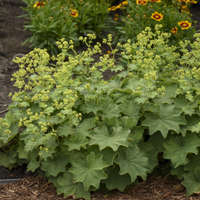 Although it's a perennial, this plant blooms like an annual from late spring to early fall if kept moist. 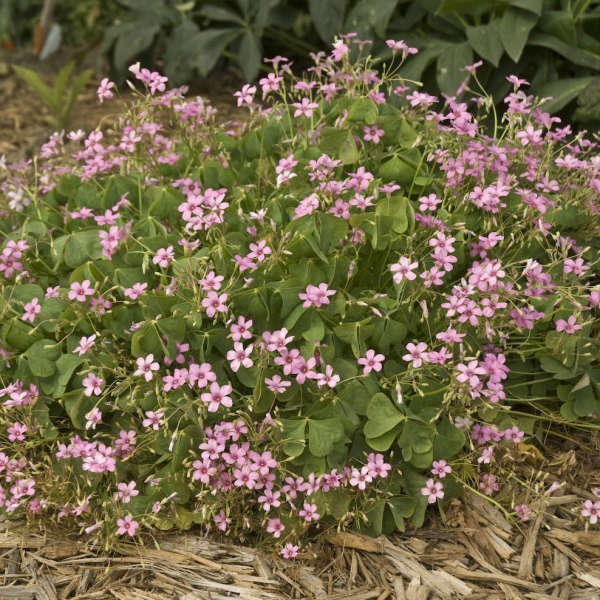 Vivid green, clover-like leaves are dotted with bright pink flowers that butterflies adore and are nice in fresh bouquets. 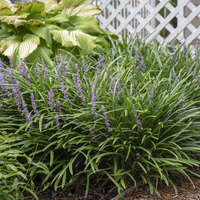 The plant forms a low mound that is the perfect size for edging or containers. 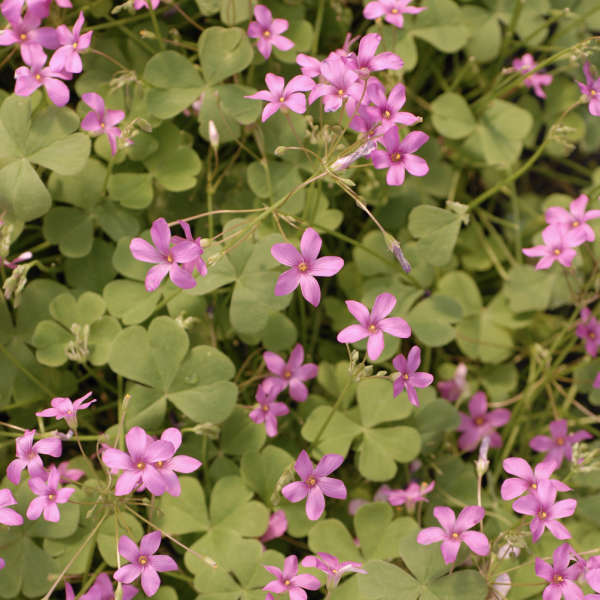 Like many oxalis, the leaves of this variety close up at night or when light levels are very low. It does not set viable seed, so there's no need to fear that it will become a nuisance in the garden. This variety has been used in Southern gardens for many years. 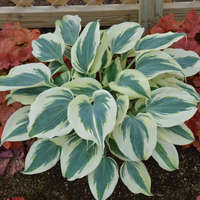 Though there are a number of conflicting reports on whether this plant prefers full sun, part shade, or full shade, everyone seems to agree that it grows best in part shade. Average, well-drained soil is sufficient. If no supplemental water is provided during hot, dry summers, this plant may go dormant but it will reemerge in fall and rebloom. Propagate it by division. Oxalis is from the Greek word meaning "sharp", referring to the sharp taste of the leaves which contain oxalic acid. There are about 850 known species of Oxalis.